Botox New York & Long Island | Get rid of those wrinkles! 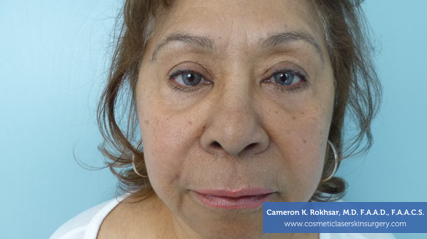 With age, and factors such as gravity, smoking, stress, and exposure to the sun, our appearance is greatly affected. Many people develop a “mature”, older appearance that doesn’t suit their age. 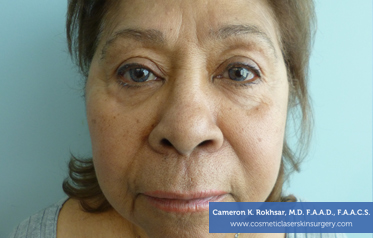 Botox specialist, Dr. Cameron Rokhsar can use Botox injections to eliminate wrinkles and fine lines to offer a more rejuvenated and youthful appearance in just a matter of minutes. New York board-certified dermatologist, Dr. Rokhsar, is proud to be selected as trainer and speaker for Allergan, the maker of Botox, Juvederm, and Voluma. Dr. Rokhsar has been a certified trainer for botox for over 10 years and had trained numerous physicians on the injection techniques with botox. Dr. Rokhsar is a national and international speaker at medical meetings and trains other physicians on the use of Botox, fillers, and various laser procedures. 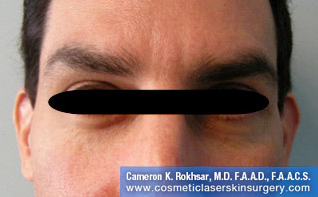 Dr. Rokhsar is a certified trainer for physicians and speaker for Allergan Medical Institute. Soften the effects of age on your skin with Botox® New York & Long Island expert Dr. Cameron Rokhsar is a top Botox injector in the country. BOTOX injections are administered at Dr. Rokhsar’s office in under 5 minutes. With the use of the finest needle ordered especially to minimize pain, our office does not need to use numbing cream, although available if need be. With our special needles and ice, the patient will feel almost nothing in terms of pain. Dr. Rokhsar will administer precise amounts of BOTOX Cosmetic into the treatment area, temporarily paralyzing the muscles responsible for wrinkles. Once relaxed, wrinkles are softened and your skin becomes smoother. Botox can be combined with other fillers such as Restylane or Juvederm for a liquid facelift. How Does Botox Compare To A Facelift? There are a number of key differences between Botox when used to combat wrinkles, and other cosmetic options available on the market today—both surgical and non-surgical. First and foremost, Botox injections are considerably less expensive than surgical facelift procedures. The results are also visible far more quickly than in surgical procedures. There may be some redness or bruising after a Botox injection, but those effects fade quickly. In comparison, surgical facelift procedures require weeks of recovery time. Botox is safely used to change the silhouette of the face, creating a more balanced face shape. Some people are unhappy with the shape of their face if it’s very round and lacks proportion. Facial roundness can be genetic or due to habits such as clenching the jaw or teeth grinding during sleep. Over time, this sustained muscle contraction of the Masseter muscle causes a thickened jawline and a more masculine, rough-looking facial appearance. Genetically, a round face is predominately found in Asian cultures, making the treat sought after by many Asian women. 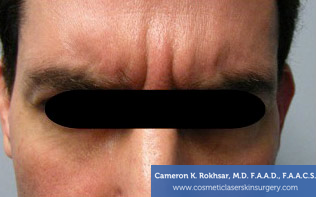 Leading NYC dermatologist Dr. Rokhsar injects the Masseter muscle with Botox®, causing relaxation of the muscle. The muscle atrophies and becomes less prominent, creating a thinner appearance while sharpening the cheekbones, narrowing the jawbone and creating a more feminine facial profile. Dr. Rokhsar’s Botox injections don’t prevent your facial muscles from moving, but rather create natural, desirable results. His technique inhibits unnecessary muscle contractions caused by everyday activities such as squinting, smiling, frowning and focusing. 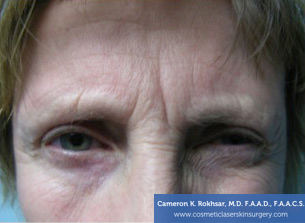 The repetitive expressions result in fine lines and wrinkles which over time begin to sag and turn into deeper, more difficult to treat wrinkles. 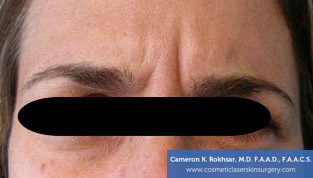 With Botox, he treats the following concerns at his Manhattan office. Crow’s Feet: A moderate dose of Botox is used to relax crow’s feet around the eyes, offering a more rested and youthful appearance. Reshape The Jaw: Botox can be used to reshape the jawline by injecting it into the Masseters (chewing muscles), which relaxes and weakens them. Once the muscles are weakened, they shrink in size along with the mandible (jaw bone). For many patients, this change can be visibly dramatic. Excessive Sweating: Botox for Hyperhidrosis gives New York patients of Dr. Rokhsar less to sweat about. Once injected into the armpit, Botox blocks sweat glands responsible for producing excess sweat. Those suffering from hyperhidrosis may experience excess sweating of the arms, groin, palms, face or feet. Botox For Feet: People request Botox injections in the feet for either excessive sweating or muscle spasms related to high heels. Botox For Hands: Many people suffer from excessive sweating in the hands, also known as hyperhidrosis. Hyperhidrosis affects one in five people, a condition that causes a person to perspire far beyond their body’s normal requirements to maintain a healthy temperature. This disorder causes excessive, noticeable sweating from the hands, feet, groin, and under the arms. 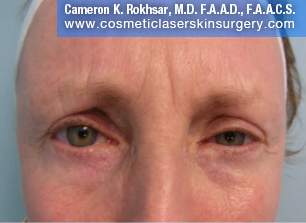 Dr. Rokhsar’s NYC Botox injections reduce excessive sweating of the hands. What Risks Are Associated With Botox? As with any injectable procedure, there are risks present when receiving Botox injections. Patients risk the chance of bruising, nausea, a headache or flu-like symptoms among other complications. Botox injections work by interrupting the communication between nerves that trigger micro-muscular facial movements. These unnecessary facial movements are responsible for causing fine lines and wrinkles. Botox is injected with a tiny needle directly and precisely into the muscle that causes moderate to severe fine lines and wrinkles. It is an in-office treatment that lasts 15 to 20 minutes, making it a procedure that can be done during your lunch break. Dr. Rokhsar is a fellowship-trained dermatologist and cosmetic surgeon, which makes him an expert on wrinkle treatments and skin smoothing procedures. How does Botox Cosmetic compare to other options? Compared to other aesthetic treatment options, Botox Cosmetic is relatively inexpensive. According to a survey by The American Society for Aesthetic Plastic Surgery, it’s one of the least costly facial aesthetic procedures. And when you consider the difference it can make in the appearance of the moderate to severe frown lines between your brows, you may find Botox Cosmetic to be a great way to invest in yourself. Botox Cosmetic treats the cause of these frown lines between the brows by reducing the muscle contractions that cause the lines to form over time. Botox Cosmetic is the only treatment of its type approved by the FDA for the temporary improvement of moderate to severe frown lines between the brows. 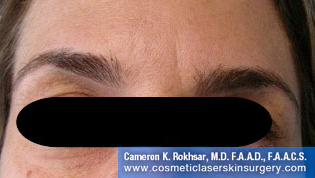 If you’re looking for something for that area between your brows, be sure to talk to Dr. Rokhsar about Botox Cosmetic. You can expect to see results within days after your treatment. The appearance of the area between your brows may continue to improve for up to a week. By day 30 in a patient clinical study, 89 percent of patients judged the severity of their frown lines between their brows as moderate or better. Visible results can last up to four months. After that, you may be ready to return for follow-up treatment. Other side effects include pain and redness where the medicine is injected, pain in the face, and muscle weakness. These effects generally occur within the first week and usually go away on their own. What are the possible side effects from getting Botox® for sweaty palms and hands? The procedure can be somewhat discomforting because of the skin’s high sensitivity on the hands. Dr. Rokhsar will use a topical anesthetic to ensure a more comfortable procedure. The treatment has proven very successful; however, there may be a minor weakness of the hand afterward. Why Choose Dr. Rokhsar For Botox Injections? Dr. Rokhsar is an internationally renowned dermatologist who has exceedingly advanced knowledge and experience working with Botox injections. Using Botox to reshape the face takes a dermatologist, like Dr. Rokhsar, with significant training, impressive results, and expert patient care. Because of his selection as trainer and speaker for Allergan, Dr. Rokhsar is qualified to inject Botox for many purposes. If you’re interested in Botox injections in the New York area, contact us today. How Do I Know I Need Botox? Are There Any Physical Restrictions After I Get Botox?